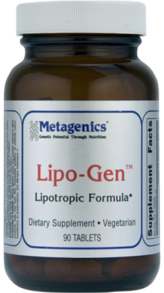 A highly specialized formula that features a unique blend of lipotropic nutrients combined with select amino acids, vitamins, and a proprietary extract of herbs to support healthy liver and gallbladder function. Provides nutrients involved in fat metabolism, including inositol, choline, and taurine. Delivers methyl donors, folic acid, vitamins B6 and B12, and select herbs that are traditionally used to support bile flow and healthy liver function.